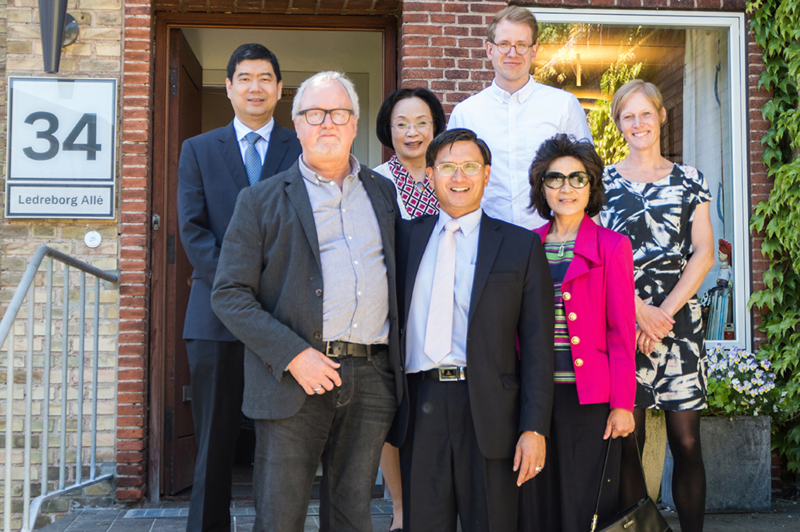 Therefor the ambassador choose to visit Danish Children Asthma Center (COPSAC) together with the mrs. and a few others from the embassy thursday the 1. juni 2017. The ambassador and co. was given a tour of the establishment and was given an insight in the centers research facilities. Asthma and allergy is a still growing problem in Asia and the ambassador expressed it would be a perfect opportunity to take advantage of the great research oriented experience and important results COPSAC has achieved over the past two decades in future research collaboration between Denmark and Taiwan.